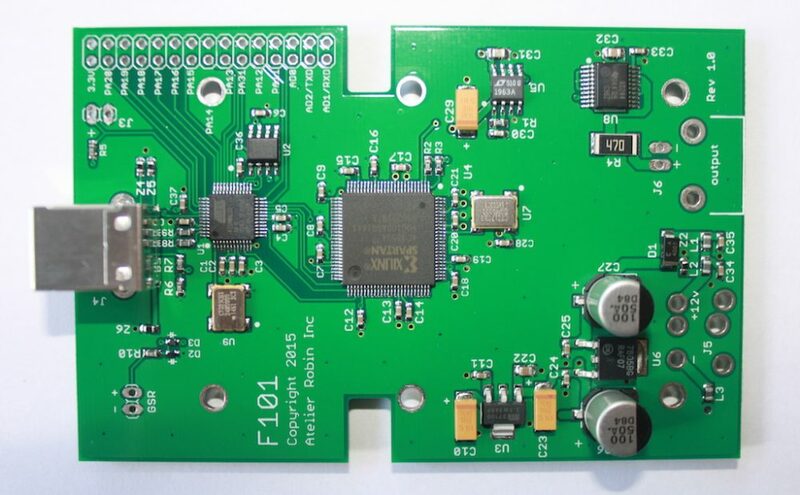 1.5 Mhz square wave programmable frequency generator. The F125 square wave frequency generator replaces our F150/155/105 frequency generators. It is a completely new design with many new features. The main one being that it can run standalone up to 1500 program files copied from a PC or Mac. 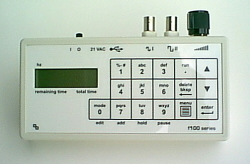 It is also possible to connect the F125 to a computer via a USB port and control it with the F100 4.x software for MS-Windows in the same way our F150/155/105 operate from a PC. Program files written for our current F150/155/105 are compatible with the F125. MS-Windows F100 3.0 software to control the F125 from a PC USB port in the same way our current generators operate. Create/edit/run program files from the keypad, no PC necessary. 2 external BNC output connectors, one 5 V TTL, one variable amplitude. Channels A,B duty cycle programmable in 64 (1.5625 %) steps when running in positive offset (DC) mode. 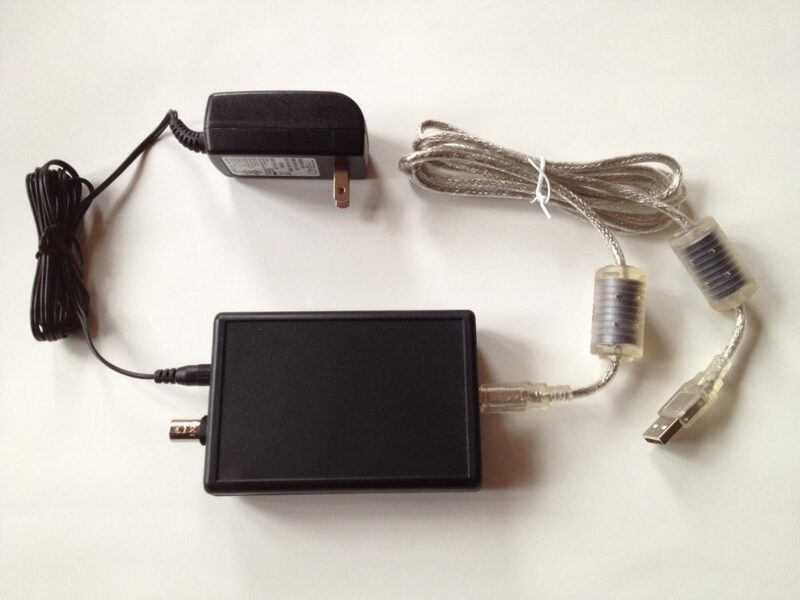 Wall transformer provided with North American plug type. Compatible with 110VAC-240VAC 50-60HZ input. Power input: 2.1 mm, 12 VDC, 1A. 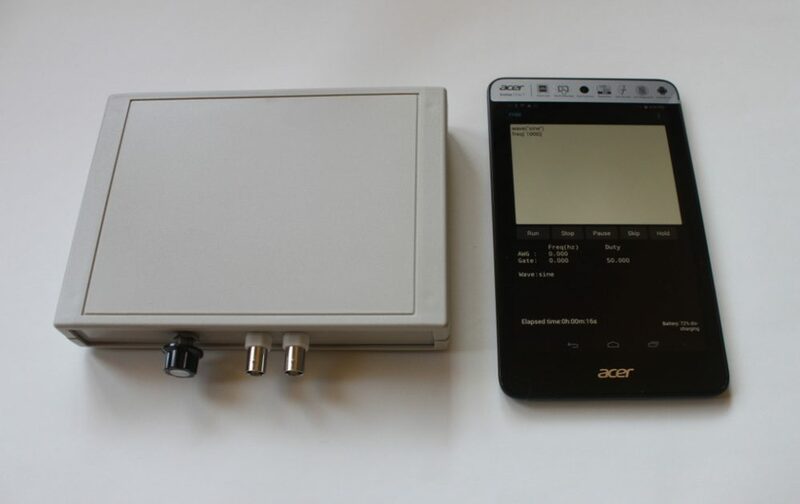 Note 2: The F125 has 2 independent internal frequency generators (A,B) and 2 BNC output connectors (1,2). A programmable multiplexer allows you to assign any internal channel(s) to any external BNC output(s) in any combination. For example, BNC connectors 1 or 2 can be individually programmed to output channels A , B, AB. When more than one internal channel is output from one of the BNC connectors, the channels are mixed with a logic AND operation.